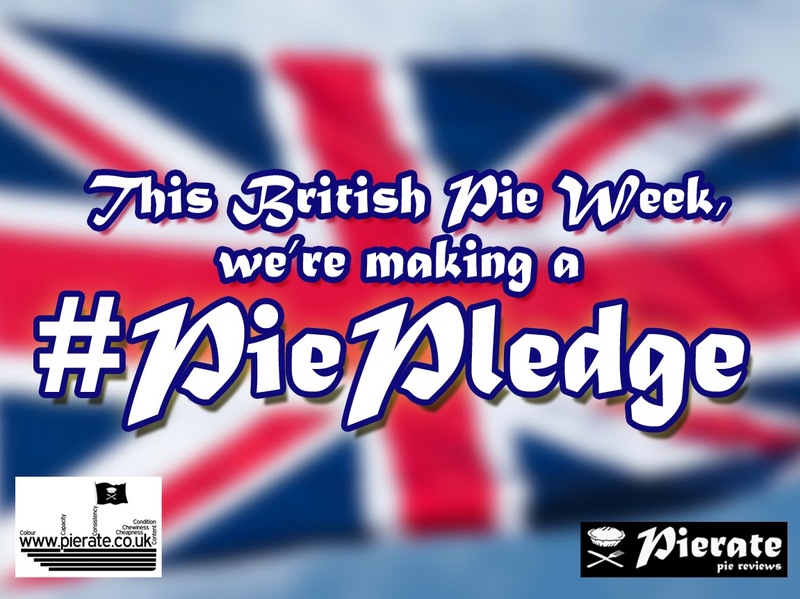 As British Pie Week looms closer, I can reveal that I will be making two “#PiePledge”s this year – both of which I am rather terrified of. I’ve been keeping them a secret for a while now, to give myself time to establish whether I am willing mount the challenge. Now that I’ve mulled things over, I can unveil my pie pledges to the world. But firstly, my oh my, hasn’t British Pie Week come round fast. Yes, it was a whole year ago that we were marvelling at SJL’s #OnlyPiesAllowed one-day challenge and RAS’s unremitting commitment to pie. As I reflect on my own experiences of last year, though, British Pie Week was a bit of a damp squib for me – and I have only myself to blame. I didn’t realise British Pie Week included the weekend, so technically I failed in my pledge to eat a pie for every day of the week! In honour of the fine tradition of the British pork pie, I will welcome in British Pie Week by eating only pork pies for the entirety of Monday 3rd March. No other food shall pass my lips! I will reject all fruit and vegetables, rice, salad, bread, pasta – all of these foods shall be banished to the back of the fridge. Unless it can prove itself to be a pork pie, I’m not going to eat it. For breakfast I’ll eat pork pies. For lunch I’ll eat pork pies. For dinner I’ll be attending the Princess Victoria Pork Pie Off, where I shall eat pork pies. I’d love it if you followed my pork pie journey on Monday, as I’ll be using the hashtag #PorkiePies. I have to say, the idea of this fills me with fear – but I’ll do it for the love of pies! Pork pies for a day, no porkies! I’ve been showing a picture of a peculiar pink meat on Twitter, asking if you can #GuessTheMeat. Well I can reveal that the correct answer was: python! Yes, because on one day during British Pie Week, I will cook and eat a python pie. 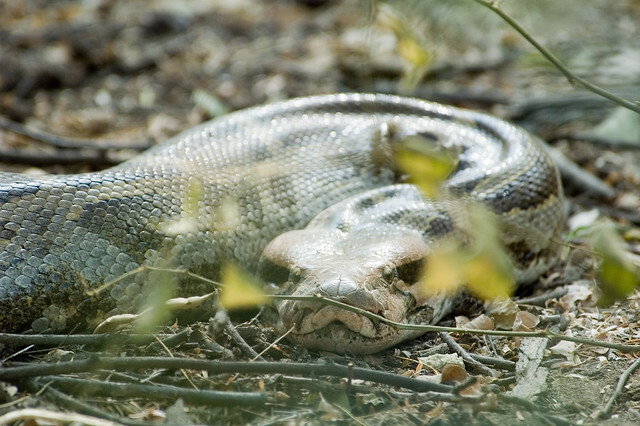 I haven’t yet decided how to cook my python meat, perhaps with a fish stock and some broccoli/peas. Does anyone have any suggestions? I have to admit I’m a bit of a novice when it comes to cooking python meat. I have tried miscellaneous snake meat once before, on a roadside in Malaysia. But it came in the form of soup, which was stringy and gelatinous – not to mention gag-inducing! But stick python meat in a pie, and I’m sure it will be delicious!…Right?...Oh I’m feeling s-queezy already. Yes - incredibly the Python Pie (or Piethon) was made in British Pie Week 2014! Check out how not to make it in our Python Pie article! Python Pie made by our very own Pierateer Tim! So there you are - my two #PiePledges for British Pie Week! What are yours? See what pledges others are making. And SJL has already revealed his #PiePledge for British Pie Week – to eat a pie for every meal of the week! Please note that if you have a pork pie that you’d like the Pierateers to try, or you’re interested in supporting the #PorkiePies pork pie challenge (or indeed any of the #PiePledge challenges we’re undertaking), of course feel free to contact us on Twitter @pierateers or email: pierateship@yahoo.co.uk.